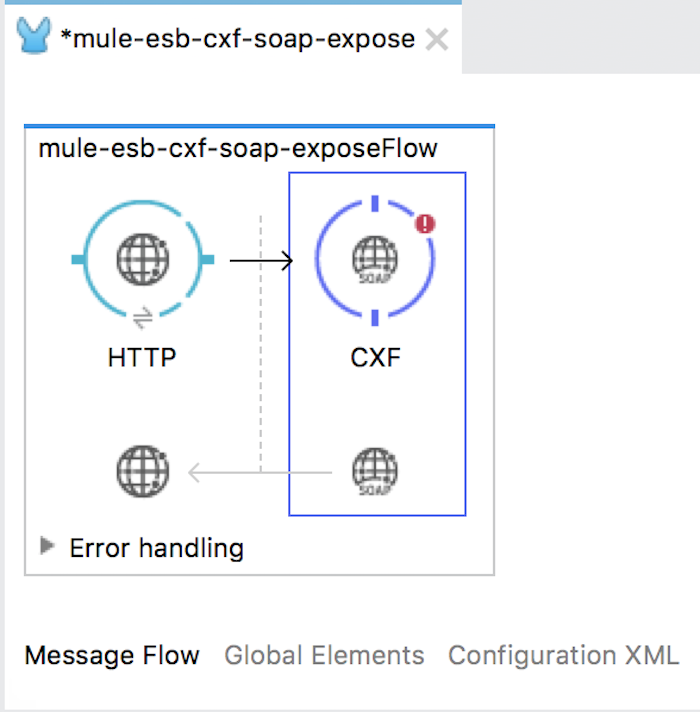 The CXF component in the Mule ESB uses the Apache CXF library to help us create a SOAP Web Service or consume from a SOAP Web Service. 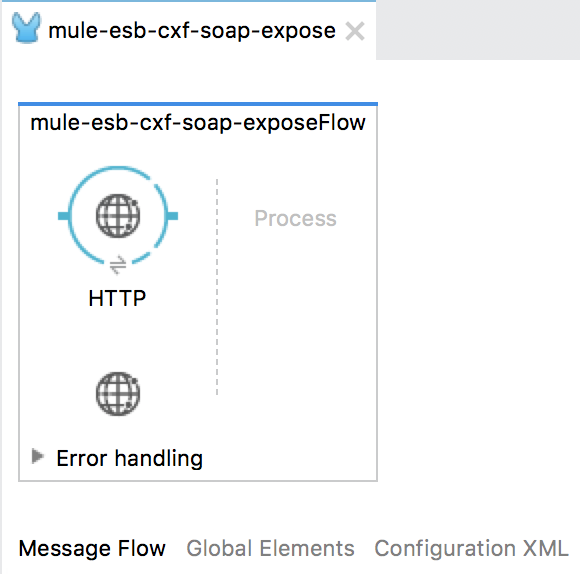 In this tutorial, I will show you how to use CXF component in Mule ESB to create a SOAP Web Service. 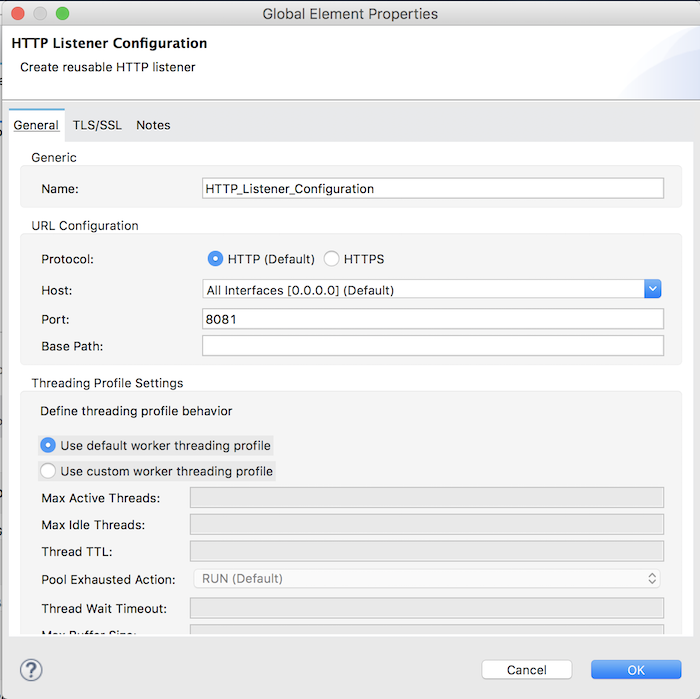 The first step is to use the HTTP Connector in the Message Source section to expose an HTTP server that allows the client to access our SOAP Web Service. If you guys do not know how to configure HTTP Connector, you can refer to this tutorial. Next, we will drag and drop the CXF component into the Message Processor in our application. The CXF component will process the request data from the user. The first part is Global Configuration, to configure this section, click the Add button next to the Config Reference field. Leave the default value and click the OK button. The second part is that we will choose the operation that we need to perform. 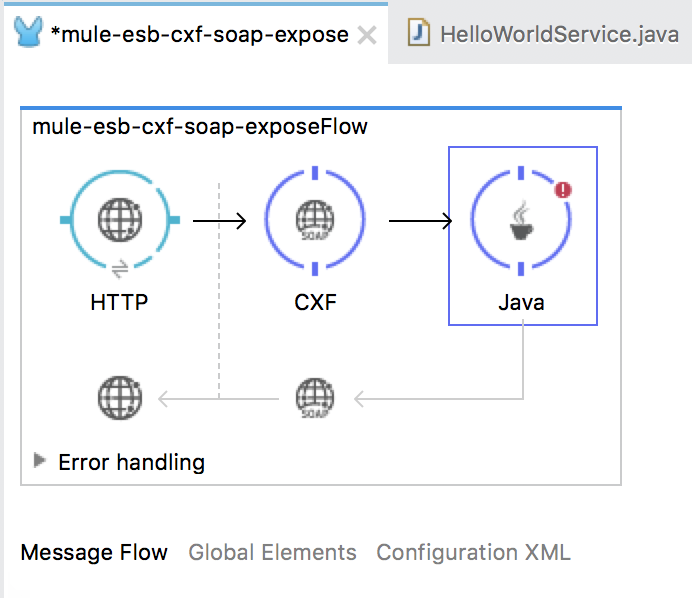 To create a new SOAP Web Service, you need to select JAX-WS service operation, other operations will be used for other purposes and I will not mention in this tutorial. There are many fields here but actually, to expose SOAP Web Service, we just need to configure the Service Class field to be enough, the values of other fields can be taken from the definition of the Service Class field. To know what we need to configure for Service Class field, first, let me briefly talk about SOAP Web Service with Apache CXF. 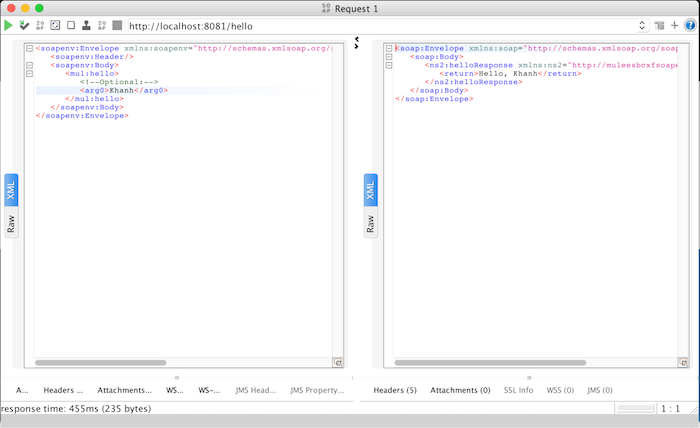 So, we have defined a simple interface to expose a SOAP Web Service. 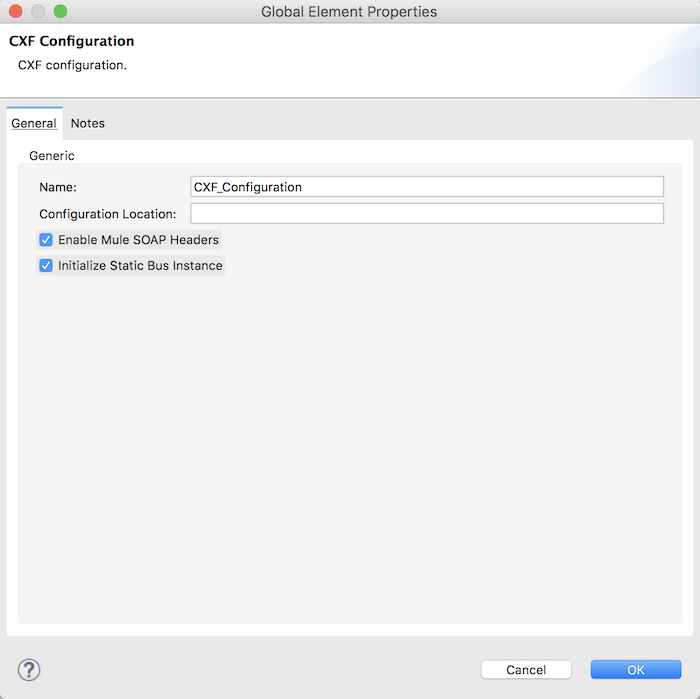 The value of the Service Class field in the configuration of the CXF component is the name of the interface that we have. 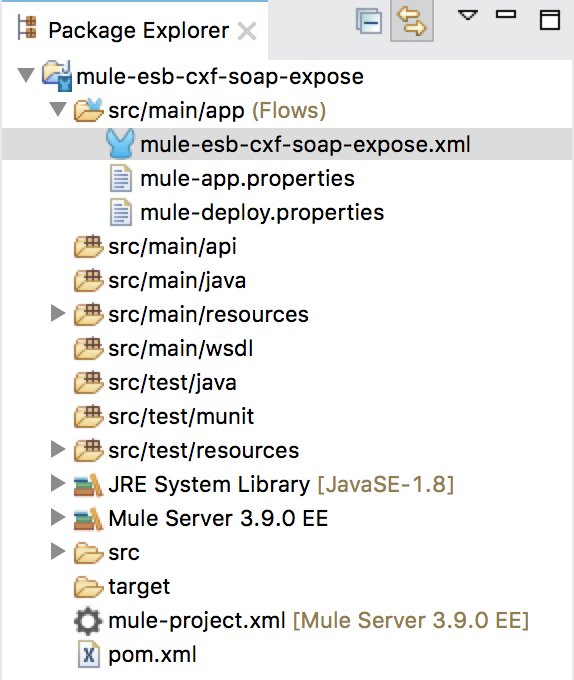 Our last step is to use the Mule ESB Java component to configure the HelloWorldService interface implementation class.